Richard Wilson and Annette Crosbie trawl the UK for antiques to take to auction. Fiona Phillips and Richard Madeley travel the length of Cornwall in search of antiques. Dancers and rivals Arlene Phillips and Anton du Beke compete to buy great antiques. Michael Aspel and Una Stubbs are on the hunt to find the best antique deals in Norfolk. Actors Alison Steadman and Larry Lamb hunt for antiques deals along the Sussex coast. Jon Culshaw and Debra Stephenson seek out antique deals in and around Edinburgh. Pam St Clement and Rudolph Walker seek out antique deals in Sussex, Kent and Essex. Peter Shilton and Peter Schmeichel compete off the pitch in a road trip around Cheshire. Silent Witness stars Emilia Fox and Tom Ward search for bargain antiques around Glasgow. Gregg Wallace and John Torode search for antique deals in Hampshire and West Sussex. Sue Holderness and John Challis search for antique deals in and around Essex. Germaine Greer and Clive Anderson search Lancashire for the best antiques. Stefanie Powers and Don Warrington face off in the bargain hunting competition. Sandi Toksvig and Sheila Hancock face off in the bargain hunting competition. Journalists Bill Turnbull and Louise Minchin go bargain hunting around Greater Manchester. 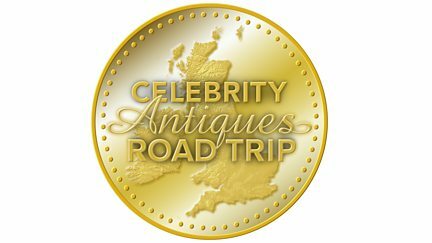 David 'Diddy' Hamilton and Kate Silverton go on an antique hunting road trip. TV entertainers Neil Stuke and Penny Smith hit the road with £400 to invest in antiques. Medical drama stars Laila Rouass and Charles Dale search the North for antiques. Musical man John Barrowman and musician Myleene Klass go on the hunt for antiques. Former Gold Medalists Robin Cousins and Tessa Sanderson go antique bargain hunting.